Logic Smoke has wow again with this wonderful, full-bodied flavor. Enjoy Deluxe Tobacco flavor any time without the smoke and ashes. It is a bold, heady flavor that will keep you vaping all day. 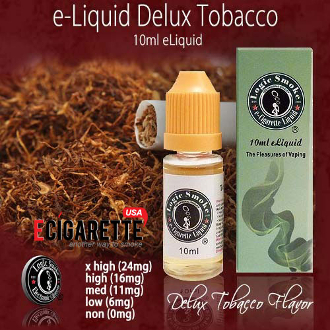 Pick up a bottle of our Deluxe Tobacco E-liquid from Logic Smoke and let your taste buds be happy.